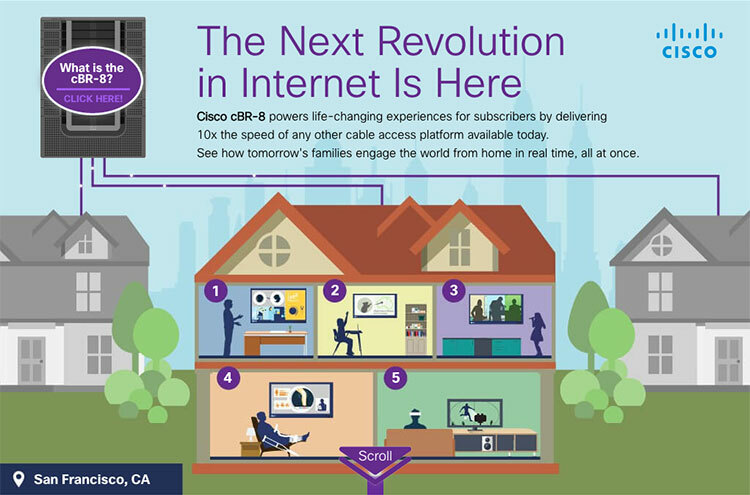 Cisco developed its high-speed cCR-8 internet system to improve web speeds for customers at 10 times that of cable. Visually developed this interactive infographic for Cisco using animated graphics to illustrate how the system works and what it can do for businesses, homes and networking professionals. Click the image to see the full functionality of this feature.